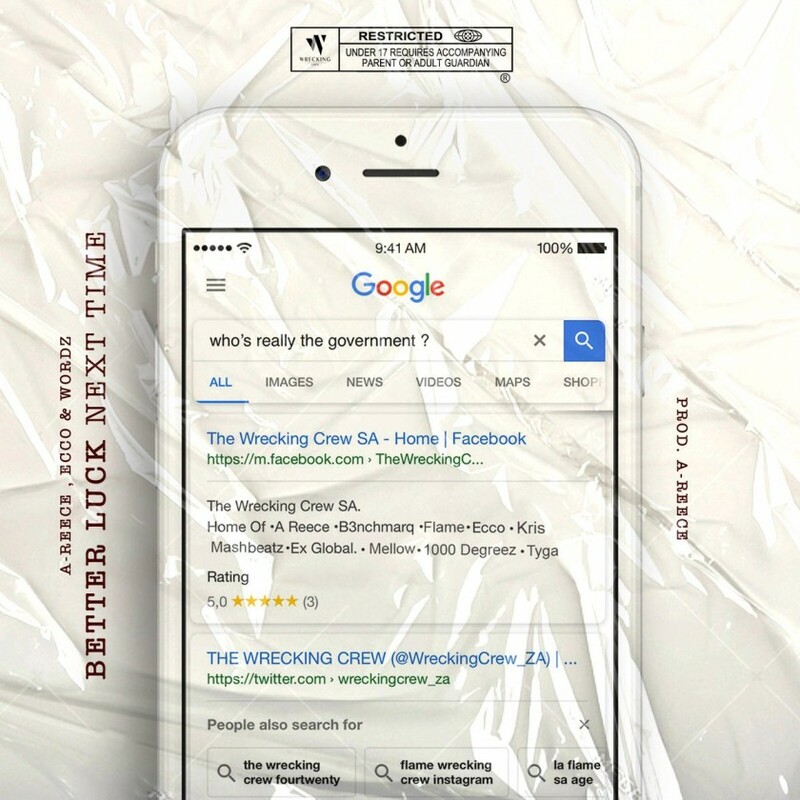 2 days ago The Wrecking Crew’s A-Reece, Ecco and WordzThaPrince dropped a banger joint called ‘Better Luck Next Time’. The joint finds the three dropping fire verses on the hookless song. Reece has been showing no sings of slowing down with the music and continues to share new heat with the crew as testament to the amount of talent they’ve got.